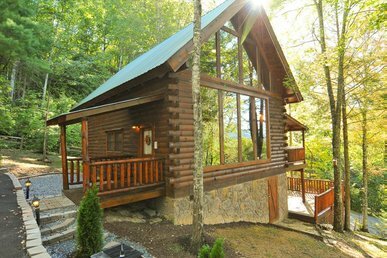 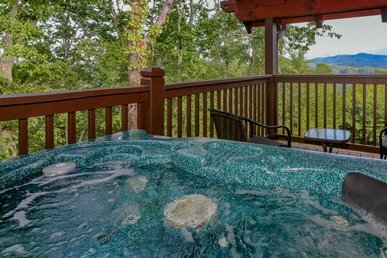 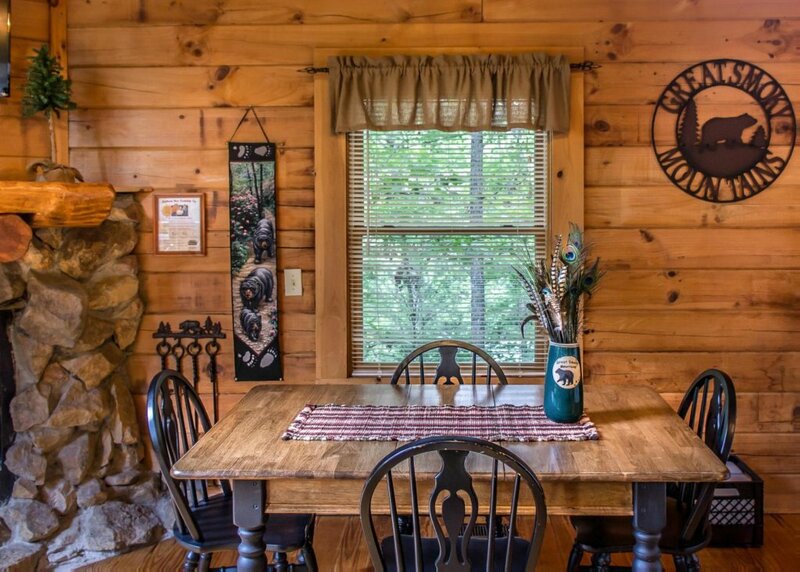 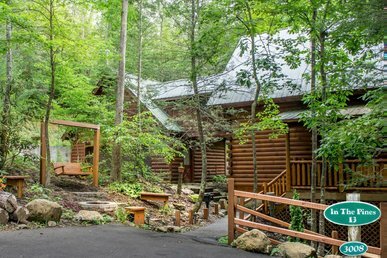 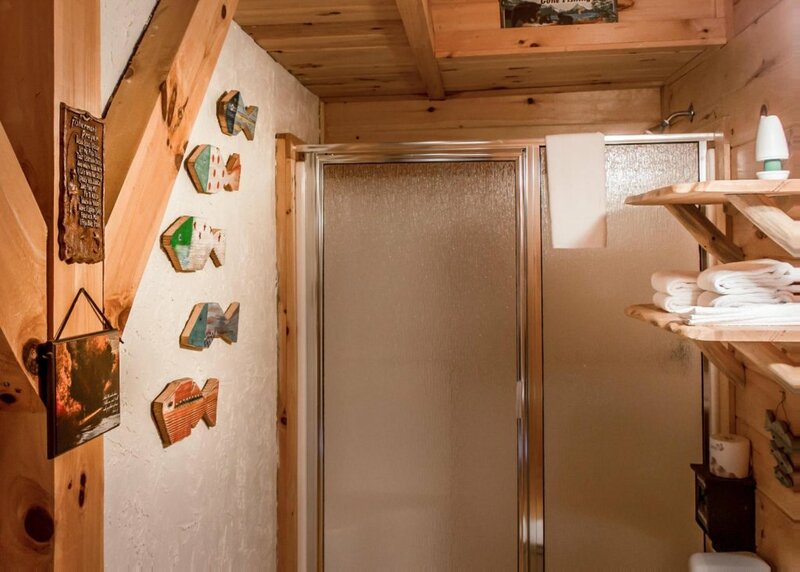 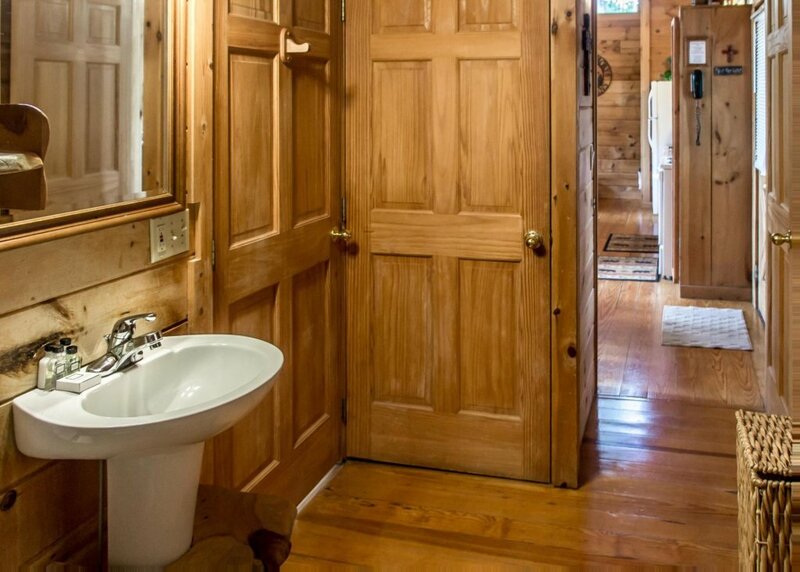 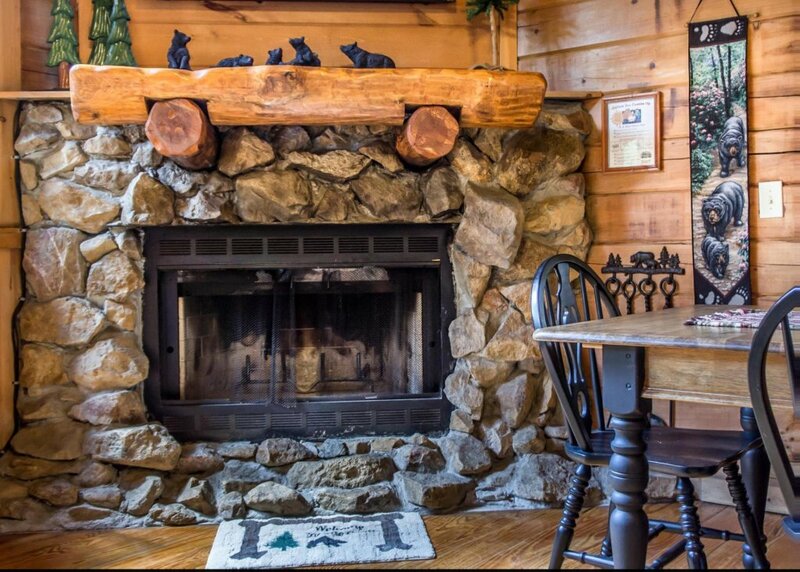 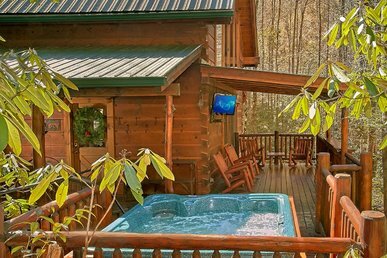 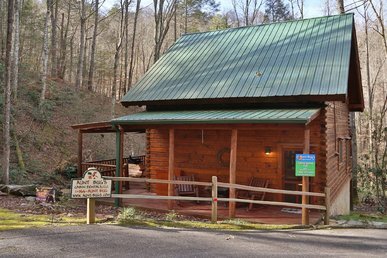 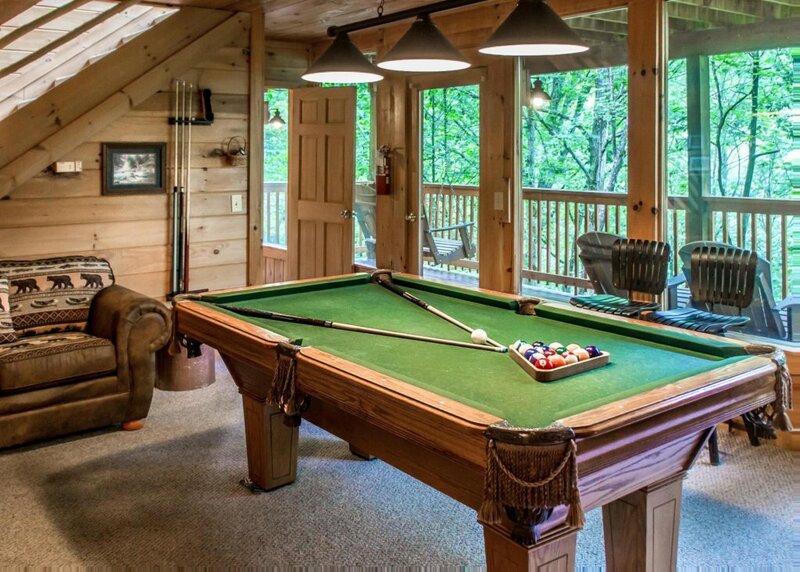 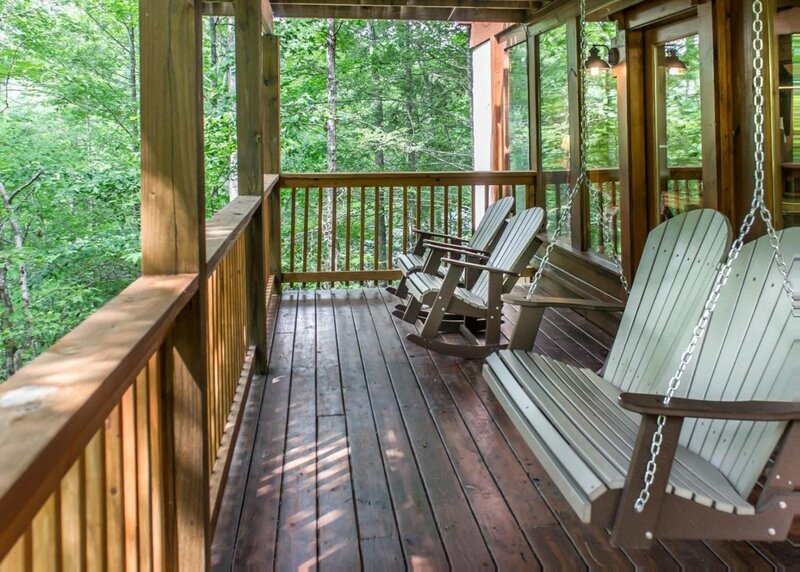 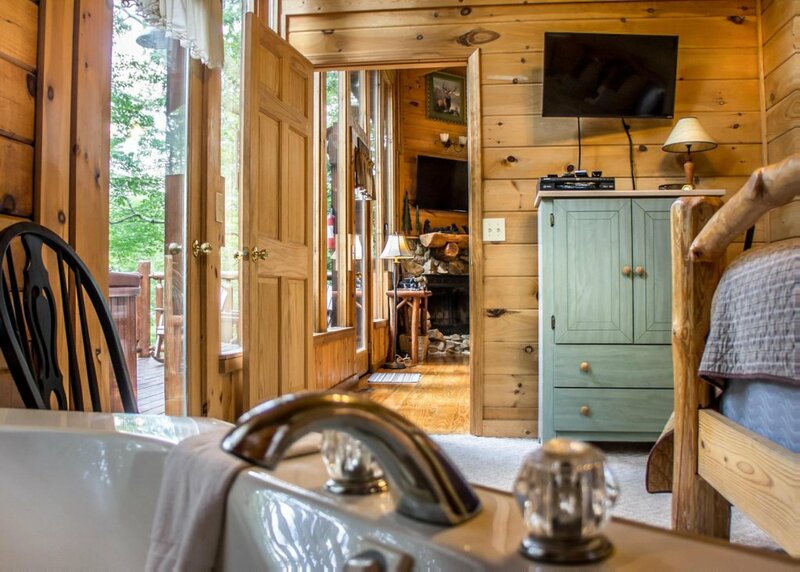 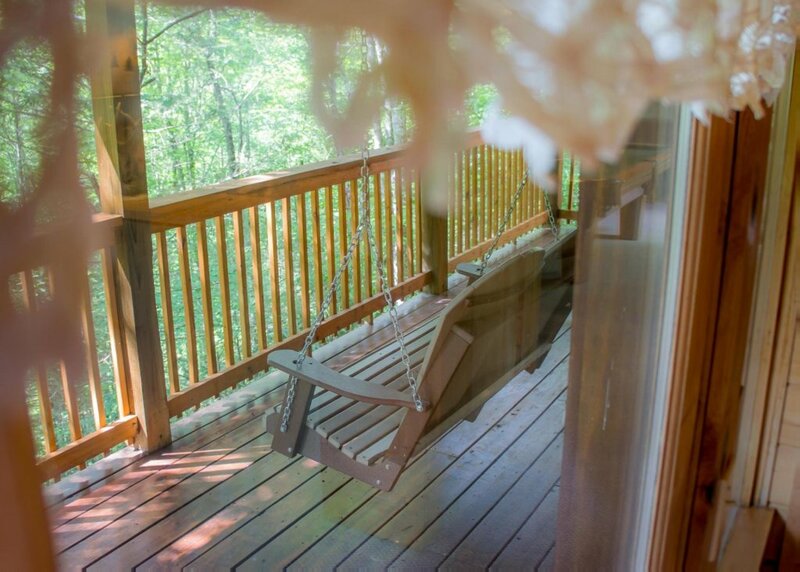 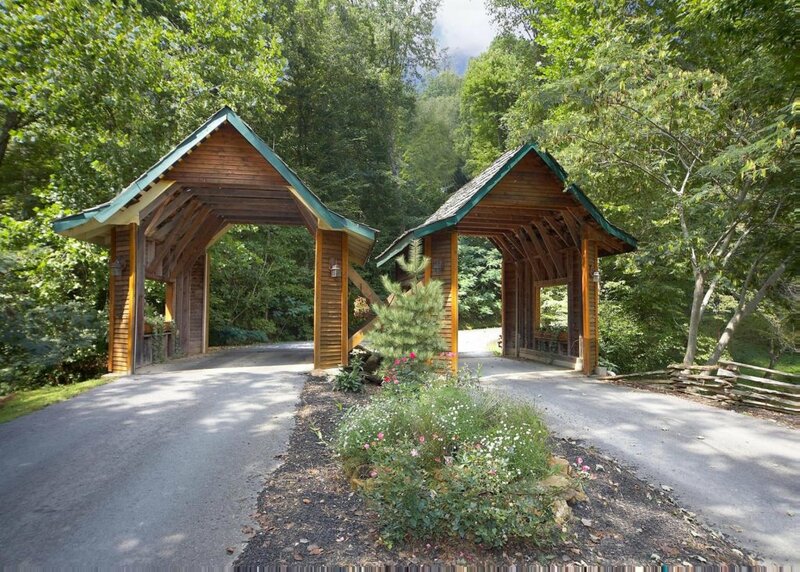 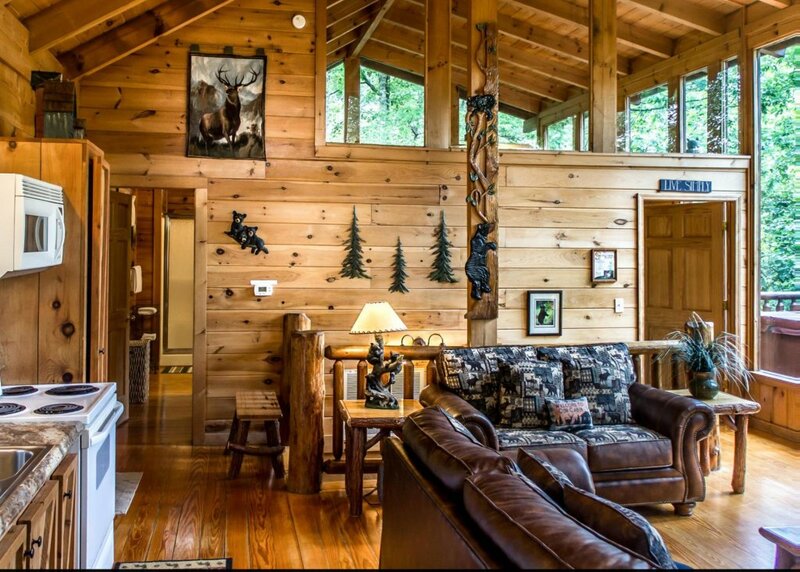 Enjoy the natural beauty of the Great Smoky Mountains in the Cub House cabin in Brothers Cove. 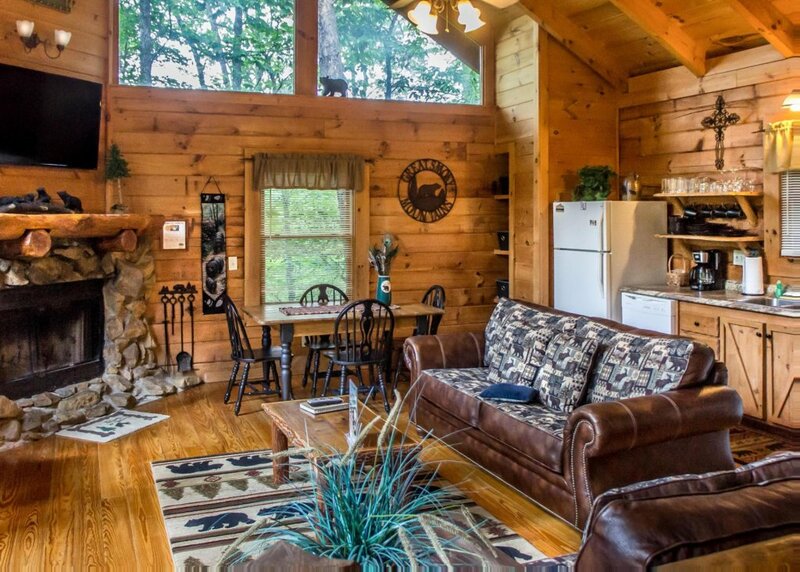 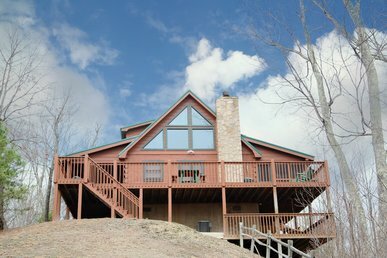 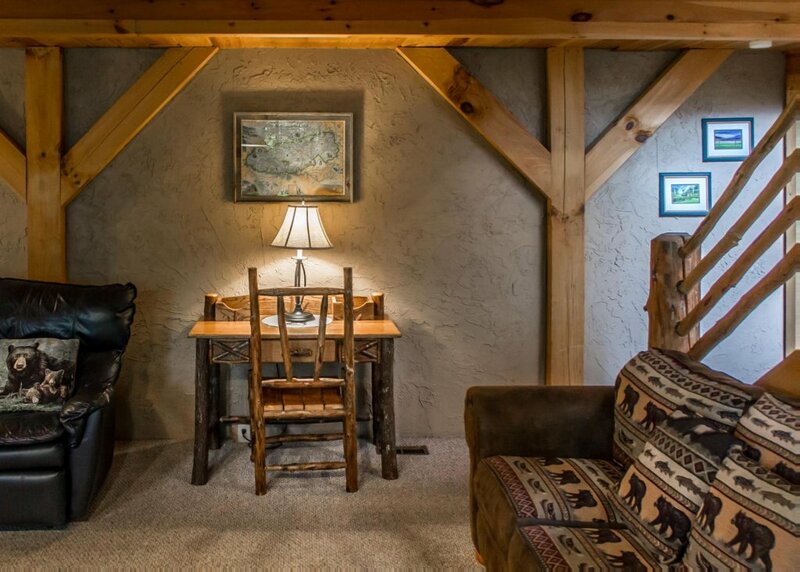 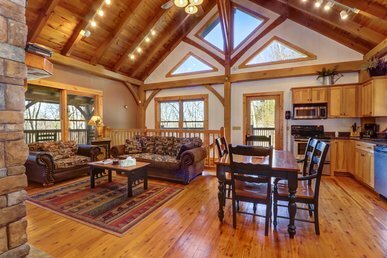 This two-bedroom, two-bath mountain haven sleeps six and comes with all the comforts of home. 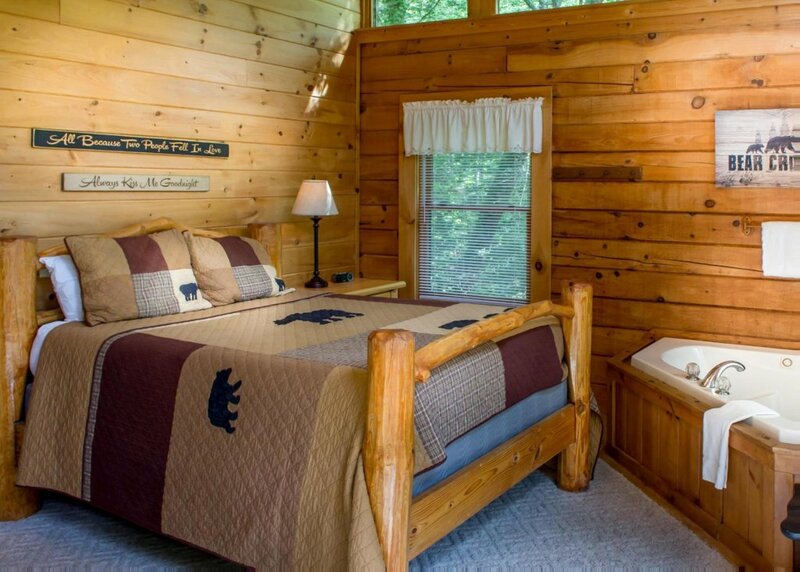 Guests can choose from getting a good night’s sleep in one of the two queen-sized beds, or on the queen-sized sleeper sofa. 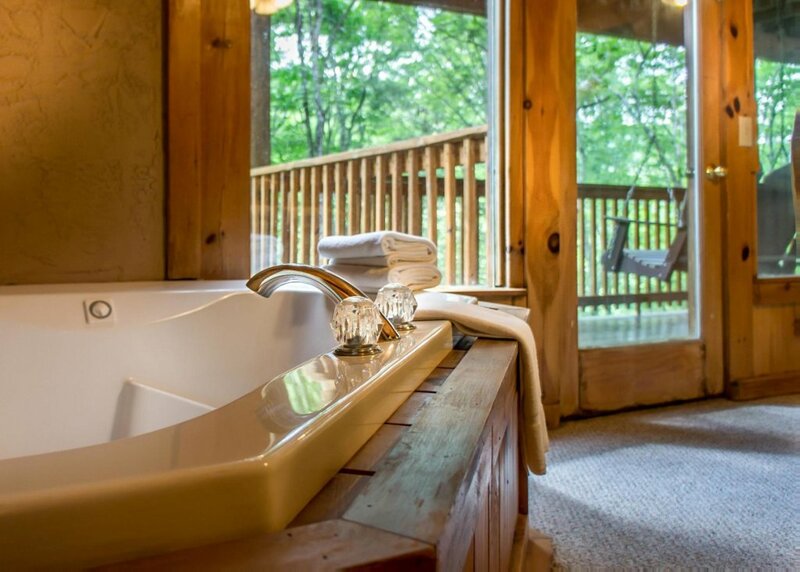 Both bedrooms come with private jetted tubs, with the main-level bedroom containing a private bath. 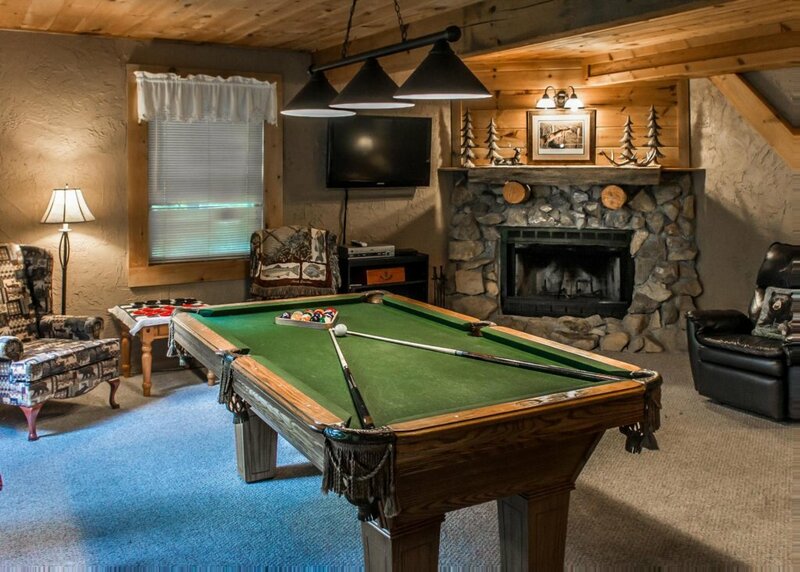 The sleeper sofa is found in the game room, complete with a big-screen television, and a pool table. 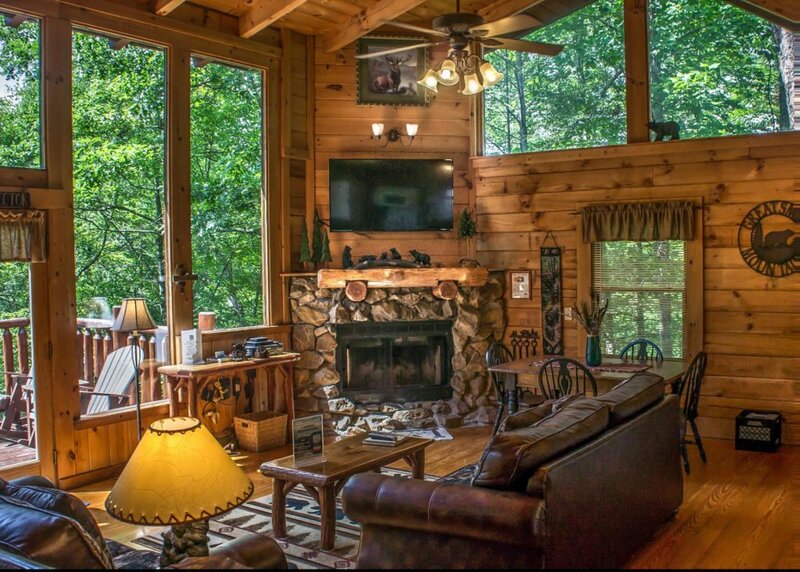 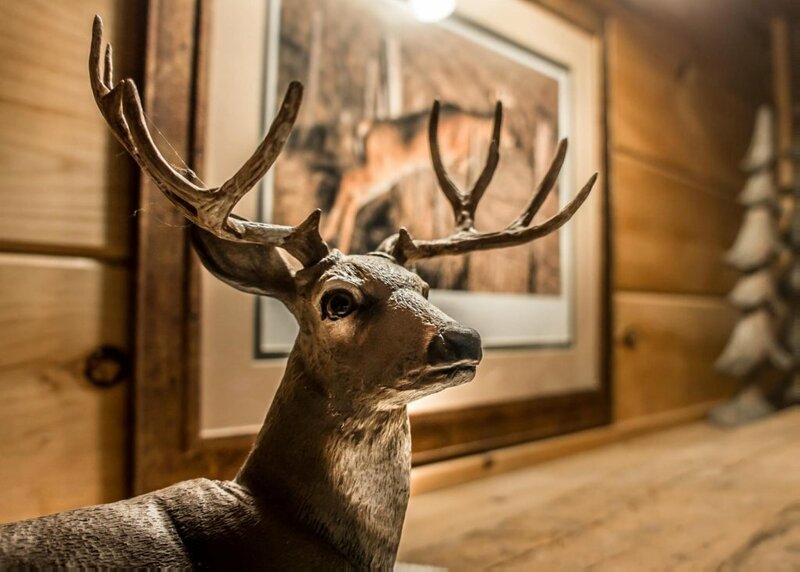 The living room is complete with a wood-burning fireplace, a television, and tasteful wildlife décor. 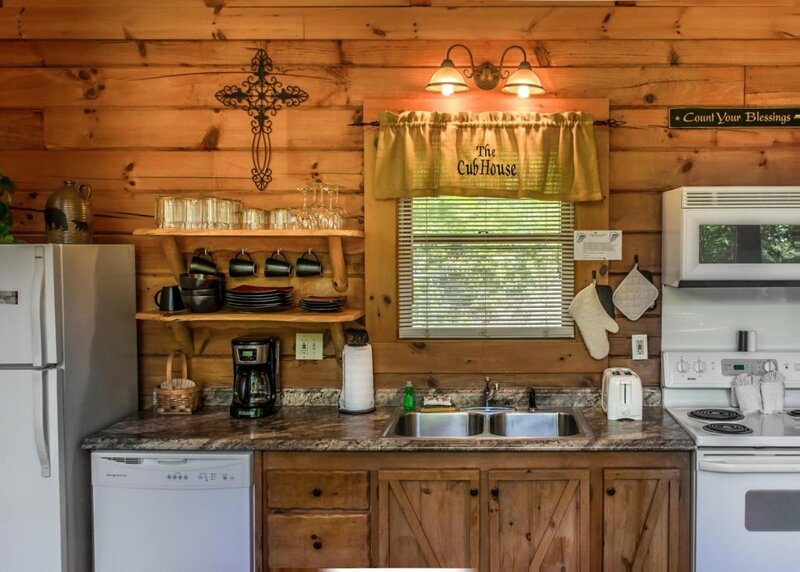 The kitchen is fully-equipped for meal preparation, with a table that can accommodate up to four. 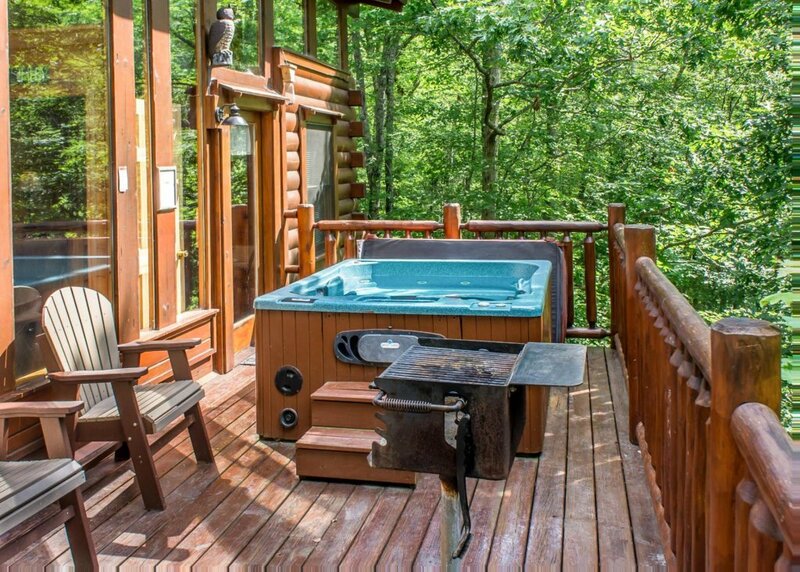 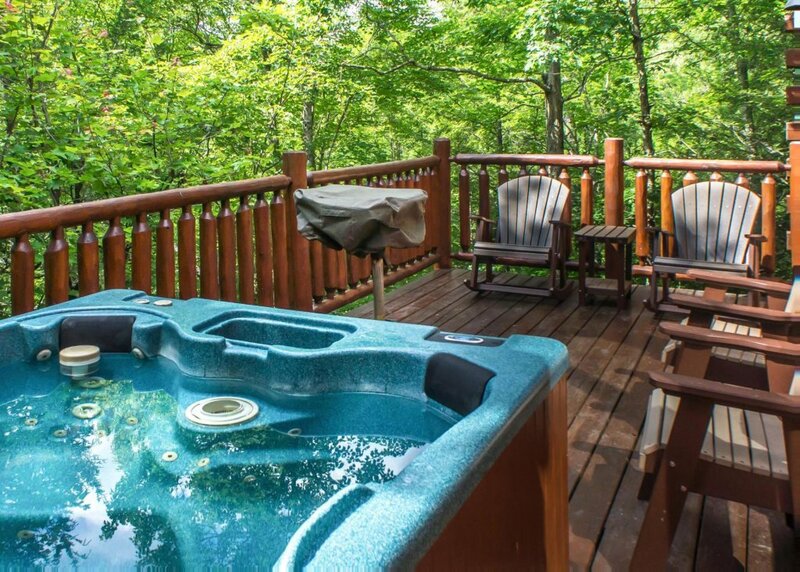 The wrap-around deck features a charcoal grill, a hot tub, and plenty of rocking chairs to enjoy the great outdoors. 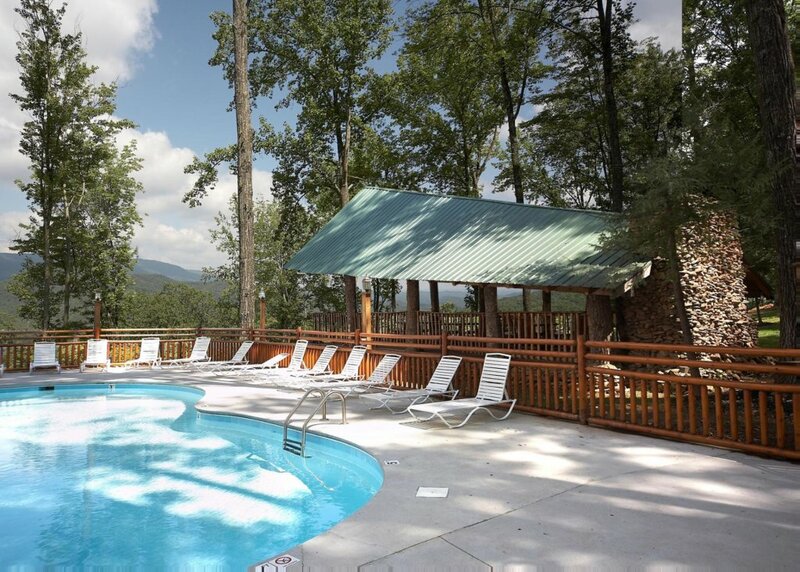 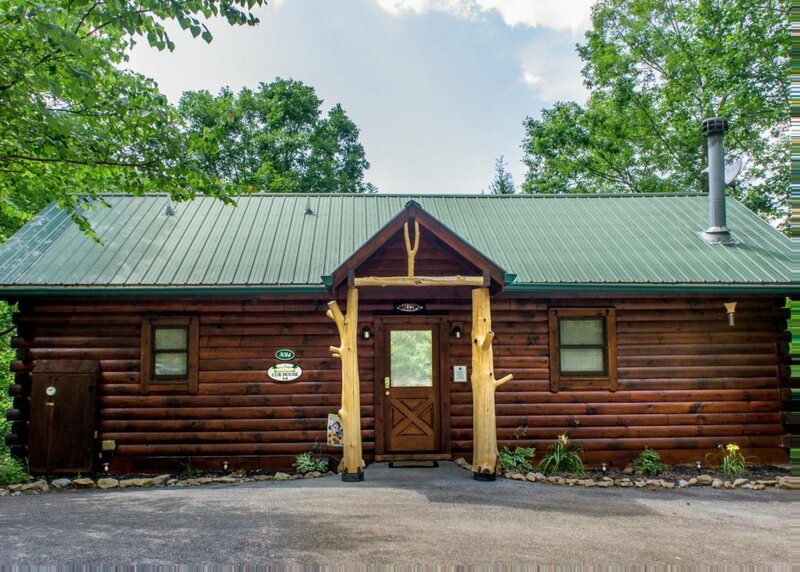 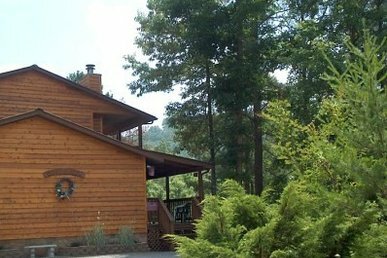 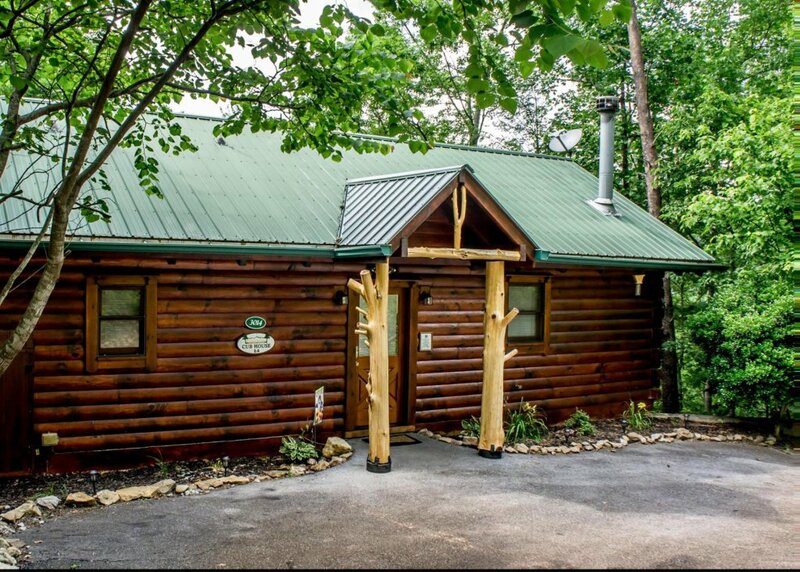 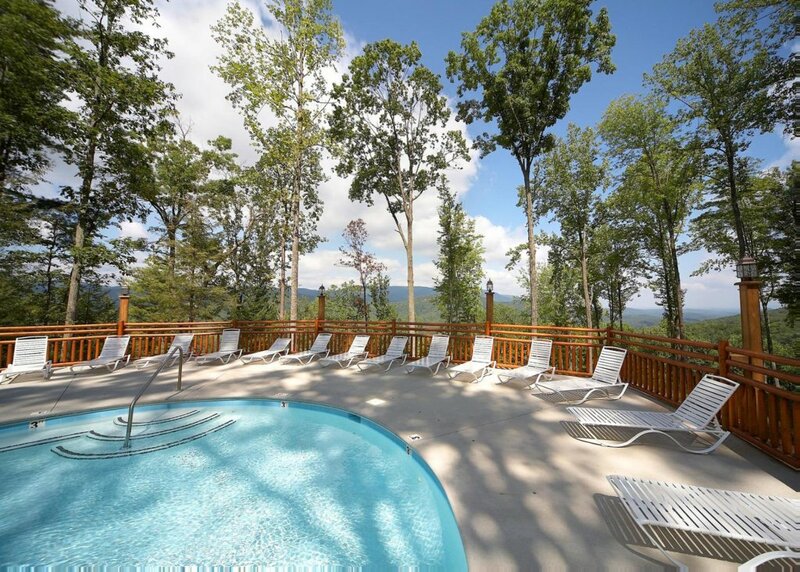 For your convenience, the Cub House comes with a washer and dryer and free Wi-Fi, and guests have access to the resort’s public swimming pool.As our gift to you for booking with us, we will offer free admission to select Smoky Mountain attractions. 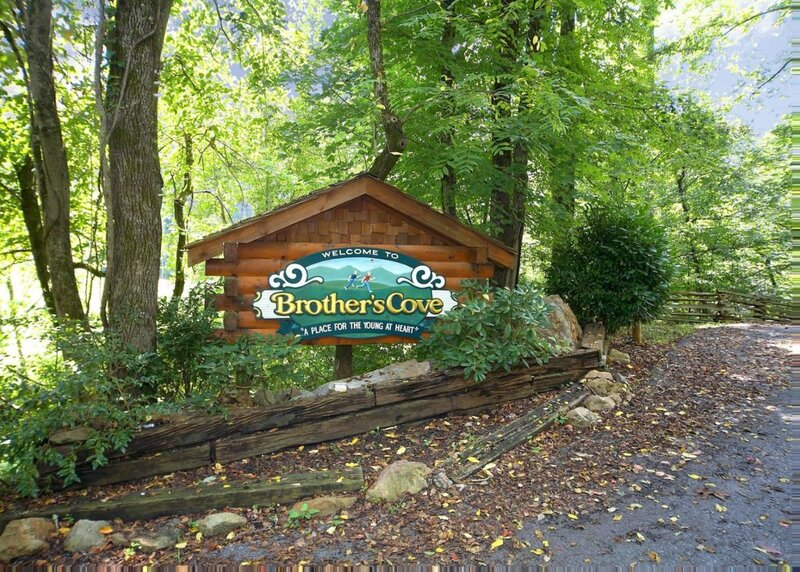 Called the Xplorie Program, our guests will receive one free adult admission ticket, per night stay, to attractions like the Ripley’s Aquarium, WonderWorks Museum, the Smoky Mountain Opry and a host of other amazing experiences. 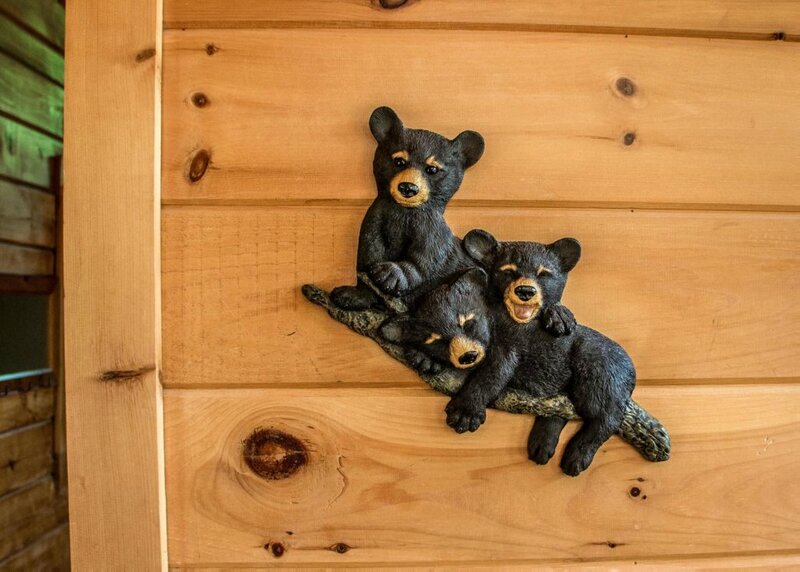 It’s our way of saying “thanks!”We apologize, but the Cub House does not accommodate pets. 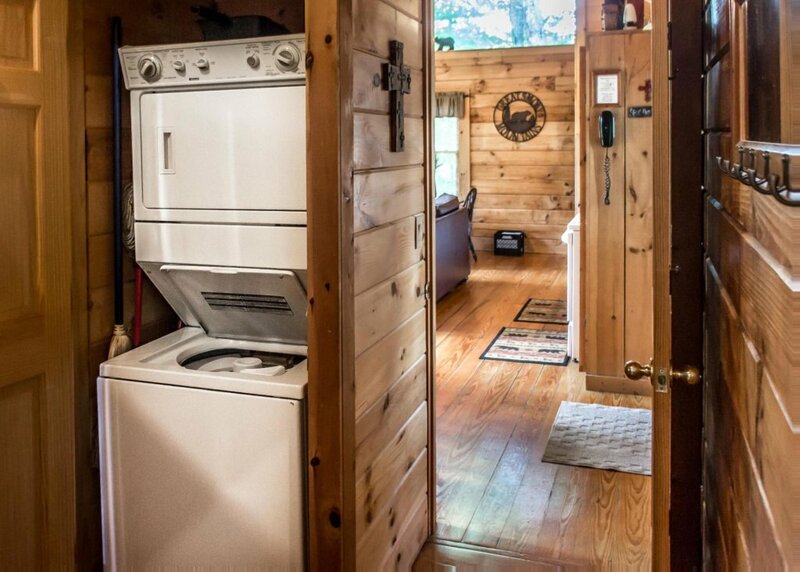 Please note that guests must be at least 21 years of age to rent this property.